Visit our FB page for the latest off-days' update! 3 & 5, Jalan Sutera Satu, Taman Sentosa, 80150 Johor Bahru, Johor, Malaysia. 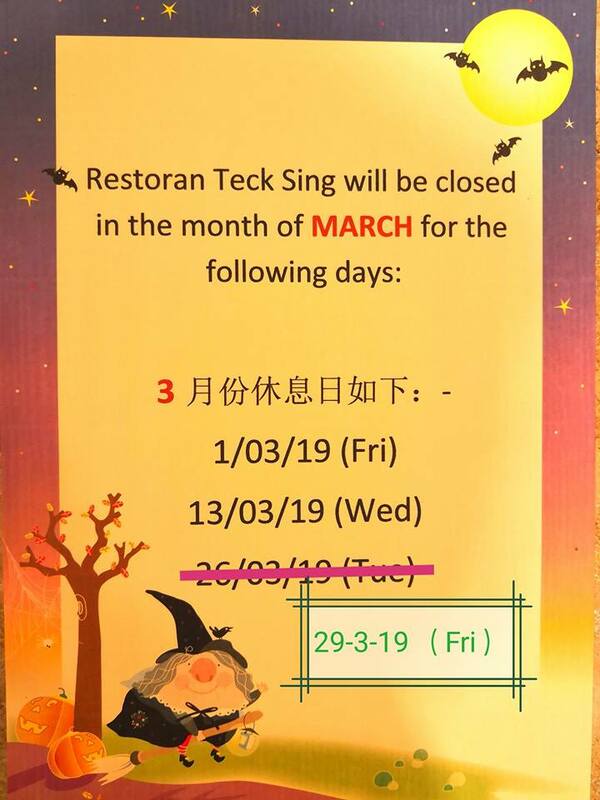 Copyright (C) 2003 - 2019 Restaurant Teck Sing Sdn. Bhd. All rights reserved.